Modern Times Group (MTG), the international entertainment broadcasting group, has announced that Viasat Broadcasting is the first Scandinavian pay-TV operator to launch a 3D TV service. Viasat 3D is now made available to satellite subscribers through Viasat’s digital OnDemand set-top box and will feature live football matches from UEFA Champions League, as well as streamed 3D video on demand movie content. Viasat will offer live 3D matches from the final stages of the current UEFA Champions League season. 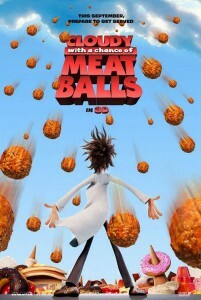 The Viasat 3D on-demand service also makes animated movies like “Cloudy with a Chance of Meatballs” as well as Sci-Fi and horror movies available on a pay-per-day basis. Viasat’s current digital OnDemand set-top boxes already have the capacity for 3D TV content, and subscribers will only need a 3D enabled TV set. The launch of Viasat 3D is made in partnership with Samsung. The live 3D satellite broadcasts will be made in co-operation with SES-Astra.